We make strapping machines and interlocking systems for rolling mill plants, created and designed for intensive, heavy-duty use such as pressing and strapping machines and the implementation of fully automated bundle evacuation. We use CAD systems for additional design developments that create high-resistance twist knots. We also design ‘lightweight’ versions of our products, which have some features modified to improve resistance to wear and tear and facilitate maintenance operations. OMV Officine Meccaniche Venturini s.r.l. was founded in 1969 by the Venturini brothers, who wanted to improve their rolling mills. 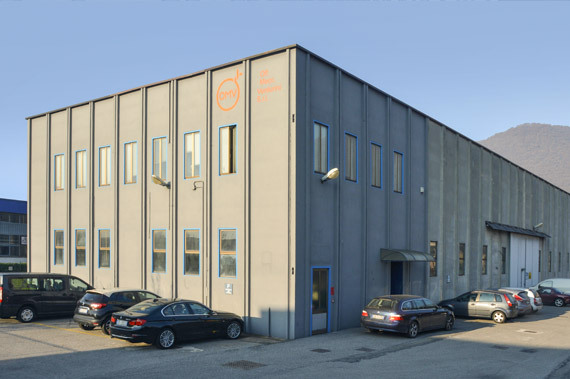 They decided to deal with planning and design personally, in addition to construction and after-sales support for special machinery for these types of plants, which constituted one of the main manufacturing activities in the province of Brescia at that time. Ongoing professional development and interest in innovation, combined with continual business development and a commitment to meeting customer requirements, meant that OMV productions stood out from the start, leading to rapid expansion of the company at a national level in the field of bending machines for rolling mills, which became the company’s core business. A leap in quality took place in the 1980s with the arrival of the first international orders from Spain, Jordan and Mexico, which coincided with a transfer to new premises. It was during this period that the OMV brand became established abroad, requiring the company to extend its product range, with the construction of larger machines and fully automated evacuation systems suited to intensive heavy-duty use in plants for round bars, rebars, profiles, billets, H-beams and coils. A focus on technology and the introduction of CAD systems in 1991 enabled further developments that led to the creation of high-resistance twist knots and significant structural modifications to all machines. In 1996 OMV obtained quality certification for the first time, and this was followed by the introduction of the latest cutting-edge technologies which included modern 3-D design systems, demonstrating the company’s intention to achieve results in line with market expectations. The company’s commitment to meeting customer requirements goes hand in hand with the ongoing upgrades and substantial modifications implemented, which are designed to make machines even more functional by improving resistance to wear and tear and simplifying maintenance operations. OMV is currently managed by the founders’ offspring and continues to expand abroad, achieving excellent results throughout the world and forming important relationships with leading plant manufacturers. The company is versatile and open to innovation, and able to meet the requirements of a constantly changing international market by adapting its products to the various manufacturing businesses of the third millennium, dealing not only with rolling mills but also special steels and the automation industry. The OMV brand has become a symbol of quality and guarantee, and is recognised throughout the world with its registered trademarks.